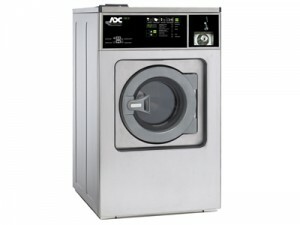 ADC’s EcoWash washer/extractors are our very first line of commercial washers. ADC has been first to market with many of the innovations that have since become industry standards. Now, to provide innovation for total laundry solutions we offer energy efficient, simple to use washers with the same quality you expect from us. This rigid-mount, 30- lb. 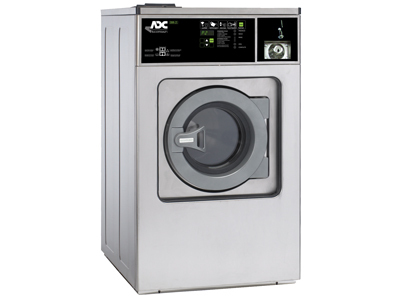 standard spin 100 G-Force washer/extractor is constructed with a structural tube design frame and heavy-duty cast aluminum counter weight to provide superior strength and maximum stability. The durable ergonomic design of the door handle combined with our Easy Lock™ door lock provides convenience and safety. All EcoWash washers feature a standard quick disconnect for immediate power shutoff to your washer. Our Intuitive Micro Controls (IMC®) is a customizable, easy to program and use microprocessor. This rigid-mount 25- lb. rapid spin 200 G-Force washer/extractor is constructed with a structural tube design frame and heavy-duty cast aluminum counter weight to provide superior strength and maximum stability. The durable ergonomic design of the door handle combined with our Easy Lock™ door lock provides convenience and safety. 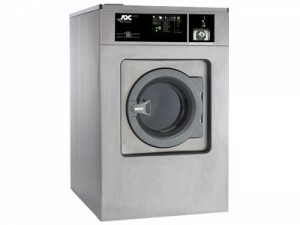 All EcoWash washers feature a standard quick disconnect for immediate power shutoff to your washer. Our Intuitive Micro Controls (IMC®) is a customizable, easy to program and use microprocessor. This rigid-mount 30- lb. rapid spin 200 G-Force washer/extractor is constructed with a structural tube design frame and heavy-duty cast aluminum counter weight to provide superior strength and maximum stability. The durable ergonomic design of the door handle combined with our Easy Lock™ door lock provides convenience and safety. 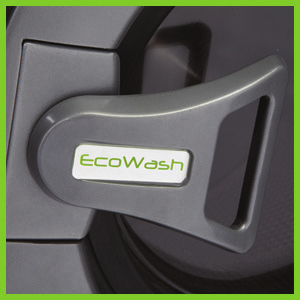 All EcoWash washers feature a standard quick disconnect for immediate power shutoff to your washer. Our Intuitive Micro Controls (IMC®) is a customizable, easy to program and use microprocessor. This rigid-mount 40- lb. 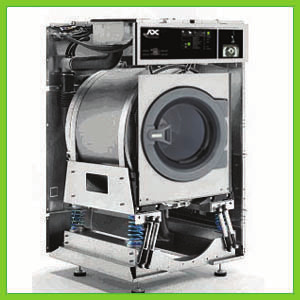 rapid spin 200 G-Force washer/extractor is constructed with a structural tube design frame and heavy-duty cast aluminum counter weight to provide superior strength and maximum stability. The durable ergonomic design of the door handle combined with our Easy Lock™ door lock provides convenience and safety. All EcoWash washers feature a standard quick disconnect for immediate power shutoff to your washer. Our Intuitive Micro Controls (IMC®) is a customizable, easy to program and use microprocessor. This rigid-mount 60- lb. rapid spin 200 G-Force washer/extractor is constructed with a structural tube design frame and heavy-duty cast aluminum counter weight to provide superior strength and maximum stability. The durable ergonomic design of the door handle combined with our Easy Lock™ door lock provides convenience and safety. All EcoWash washers feature a standard quick disconnect for immediate power shutoff to your washer. Our Intuitive Micro Controls (IMC®) is a customizable, easy to program and use microprocessor. This free standing (soft-mount) 25- lb. high spin 350 G-Force washer/extractor features a cast aluminum counter weight along with our imbalance detection system providing maximum stability and gentler movement. The durable ergonomic design of the door handle combined with our Easy Lock™ door lock provides convenience and safety. All EcoWash washers feature a standard quick disconnect for immediate power shutoff to your washer. Our Intuitive Micro Controls (IMC®) is a customizable, easy to program and use microprocessor. This free standing (soft-mount) 30- lb. high spin 350 G-Force washer/extractor features a cast aluminum counter weight along with our imbalance detection system providing maximum stability and gentler movement. The durable ergonomic design of the door handle combined with our Easy Lock™ door lock provides convenience and safety. 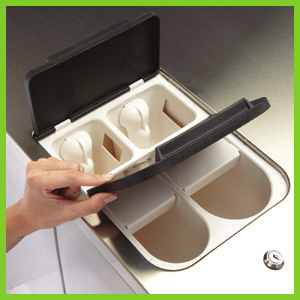 All EcoWash washers feature a standard quick disconnect for immediate power shutoff to your washer. Our Intuitive Micro Controls (IMC®) is a customizable, easy to program and use microprocessor. This free standing (soft-mount) 40- lb. high spin 350 G-Force washer/extractor features a cast aluminum counter weight along with our imbalance detection system providing maximum stability and gentler movement. The durable ergonomic design of the door handle combined with our Easy Lock™ door lock provides convenience and safety. All EcoWash washers feature a standard quick disconnect for immediate power shutoff to your washer. Our Intuitive Micro Controls (IMC®) is a customizable, easy to program and use microprocessor. This free standing (soft-mount) 60- lb. high spin 350 G-Force washer/extractor features a cast aluminum counter weight along with our imbalance detection system providing maximum stability and gentler movement. The durable ergonomic design of the door handle combined with our Easy Lock™ door lock provides convenience and safety. 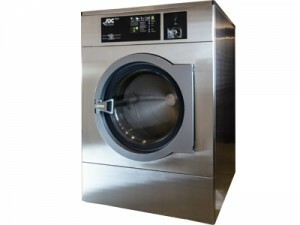 All EcoWash washers feature a standard quick disconnect for immediate power shutoff to your washer. Our Intuitive Micro Controls (IMC®) is a customizable, easy to program and use microprocessor. cast aluminum counter weight to provide superior strength and maximum stability throughout the wash cycle. Lock™ door lock provides maximum convenience and safety. bleach and fabric softeners before starting your wash cycle.